Do you ever dream of being multi-talented? I know I do! Once I get on Pinterest my mind runs wildly through all the wonderful decorating and craft ideas. I pin this and that knowing full well that I don't have time or the talent to make everything I would love to try. Then, yesterday I came across Marian's post on her blog Sweetopia and thought for one moment, maybe I could. 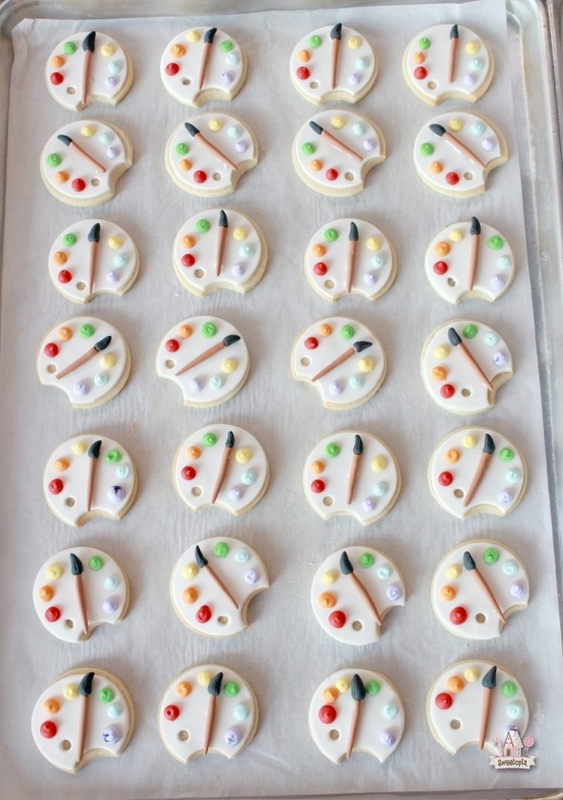 Maybe I could make these beautiful cookies shaped like a paint palette. Wouldn't that be perfect since I so adore painting! Maybe I could do these gluten-free since I don't eat wheat based products. I may give it a try at some point, but for now I'll just share the visual beauty of these little cookie palettes. Stop in and check out Sweetopia's wonderful cookie creations by the oh, so talented Marian. She has so many beautifully decorated cookie ideas on her blog that you will be totally captivated, especially if you are like me and think "just maybe I could do that." She has the tutorial and recipe so you can give it a try. I can paint desserts, but can I actually decorate real cookies that look like art? Stop in and tell Marian I sent you. Oh m,y these cookies are a feast for the eye! You could make these and decorate them too. 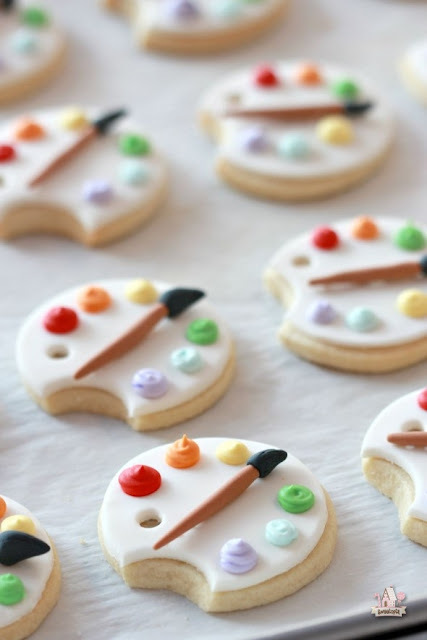 You are so amazing with a paint brush, I am sure you can decorate the cookies too. What a fun cookie, some cookies are so pretty you don't want to eat them LOL but I will, since I love cookies. What beautiful cookies! I would try them but I am afraid they would turn out like my actual palette instead of that nice and neat one on the cookie---I am a messy painter! I know exactly what you mean about Pinterest! I can waste a lot of time there dreaming about what I should be doing! Ha!